Yoga has truly changed and saved my life. When I first found yoga, I was a stressed out, people-pleasing perfectionist who suffered from depression, anxiety, and a lack of self-confidence pretty much daily. My yoga mat became a place of refuge, a safe space for me to explore my body and my mind, and to work through deep healing physically, mentally, emotionally, and spiritually. It is now with great honor and gratitude that I share my learnings with others as a yoga instructor. I believe that yoga can help you not only feel better physically, but it can also allow you to bring awareness to and work through deep emotional and mental blocks that keep you stuck from living your best life. My yoga instruction focuses on helping you feel better in your body, mind, and soul. I have been trained in ashtanga and traditional power vinyasa, and hold a 200-hour RYT certification through Yoga Alliance. 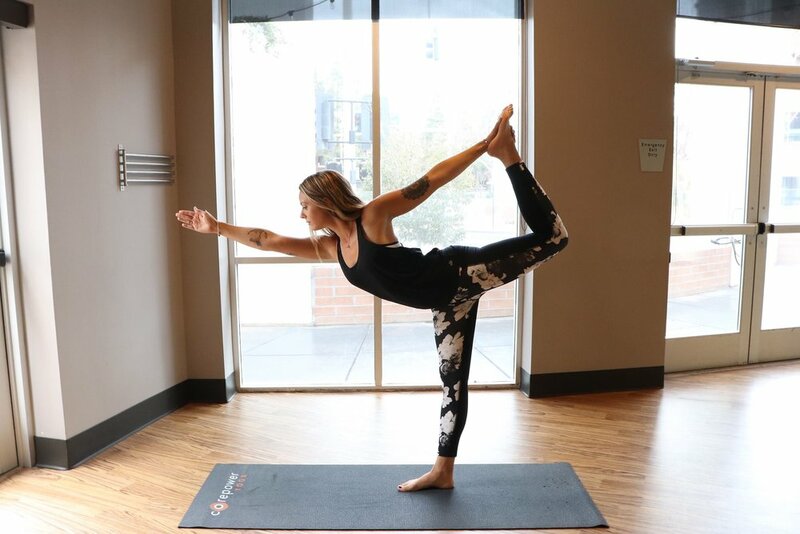 If you're looking for private yoga instruction in the Phoenix area for yourself, a group, an event, or in a corporate setting, I'd love to chat. Send me an email through the form below and I'll be in touch to discuss!